I've been back blogging now for just over 2 years since I came back from travelling - which feels like forever ago now! 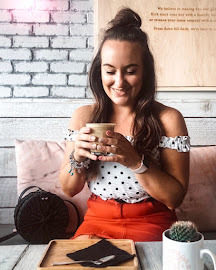 I was so happy to be back blogging as I had really missed it when I was away, I wish I was one of those people who could have kept up with it but I wasn't and I'm really quite sad about that as I feel like I missed out so much. I also wasn't one of those bloggers with a particular niche either, my blog was all over the place as I just posted about anything that I wanted without a care for my photography, schedule or anything. 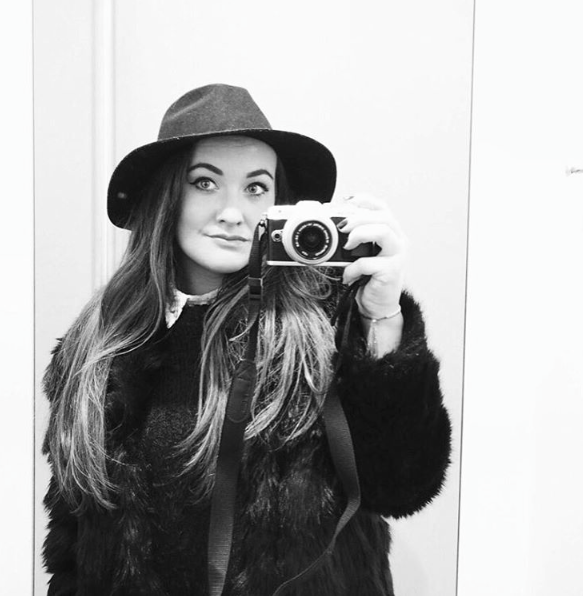 I know everyone starts out the same blogging but really mine was an absolute mess! Blogging at that time still seemed quite new and it's only in the past couple of years that the blogging community has really blown up with it being taken much more seriously by people and brands now. Recently I've been feeling abit down with my blog, even a little lost and I really couldn't quite figure out why. I was posting regularly with new content over a range of topics and getting some great feedback but why wasn't I happy with the way it was going? I started to look at my favourite bloggers for inspiration (The Little Plum, Sophie Rosie and Holly Loves The Simple Things to name a few) and thought of the reasons why I keep going back to their blogs and came to the conclusion that it's because they all have a definite niche for their blog, they know what they want to blog about and stick to it, whereas I was posting about anything and everything and never really finding my place in the blogging world. I figured it was about time I re-invented myself (aka this blog) and so I've thought about the kind of blogger that I want to be and the kind of blogger I want to be known for and that's a fashion/lifestyle blogger. I love fashion and styling and I want this blog to be a way to show this. I used to post about beauty on here as I felt as a blogger like I should, now don't get me wrong I love beauty and playing about with makeup but I'm not very experimental at all with it and if you gave me £100 I would much rather spend it on clothes than makeup. That's when I realised that fashion blogging is where I want to take HELLOTASHA but I do want to incorporate more of me as well. Lifestyle/personal posts go down very well nowadays as people want to read more about the person themselves and see if they can relate, I dipped into these a little towards the end of last year and they were really well received so I just need to push myself to create more of that kind of content. Some people might say that turning this little blog into a pure fashion blog with a bit of lifestyle might limit me with creating content but I couldn't disagree me, I reckon it will push me that little bit more to be more creative and think outside the box. Re-invention can be scary at times but now that I've made the decision I'm much happier and excited for the future of HELLOTASHA and to see what content I can come up with. I've already started my re-invention with a brand new theme which is simple and exactly what I think my blog needs at the moment. Let's see how it goes! Thanks so much if you managed to make it to the end of this post, I know it may have been slightly rambly but you always feel so much better when you get something off your chest! Here's to the future! Here's to a wonderful 2016 and reinvention!